…never send to know for whom the bell tolls. It tolls for thee. as tapers waste the moment they take fire." but I sent a nice letter saying I approved of it." William Henry Harrison, the 9th President of the United States, will forever be remembered not for his great accomplishments as President, but for being so long-winded it cost him his life. The the first of two Presidents from Indiana was actually born in Virginia in 1773. Originally intending to become a doctor, he instead joined the Army in 1791 and was assigned to the “Northwest Territory”, which was most of what we now call the Midwest today. He was assigned to the command of General “Mad Anthony” Wayne, for whom Fort Wayne was named – now the 2nd largest city in Indiana. His main job: fighting Indians. In 1798 he left the Army to become a non-voting delegate to the US Congress for the territory. At that time, the area that would become Indiana was growing in population. Seeing an opportunity, he helped split it off into a separate Indiana Territory (named for the high populations of Indians living there), and he promptly became the first territorial governor in 1801. His main job: fighting Indians. By this time, the Indians were getting a little tired of Harrison, and by 1810, attacks against the white settlers had grown from annoying to downright serious. A leader rose from among the ranks of the Indians, a Shawnee chief named Tecumseh. He set about reforming an alliance or “confederacy” of Indian tribes, which had faded after the Battle of Fallen Timbers which ceded most of Ohio to the settlers in 1794 – a battle fought by Harrison under General Wayne. This new confederation was welded together by a spiritual leader, Tecumseh’s brother Tenskwatawa (or “Open Door”). The whites just called him “The Prophet”. 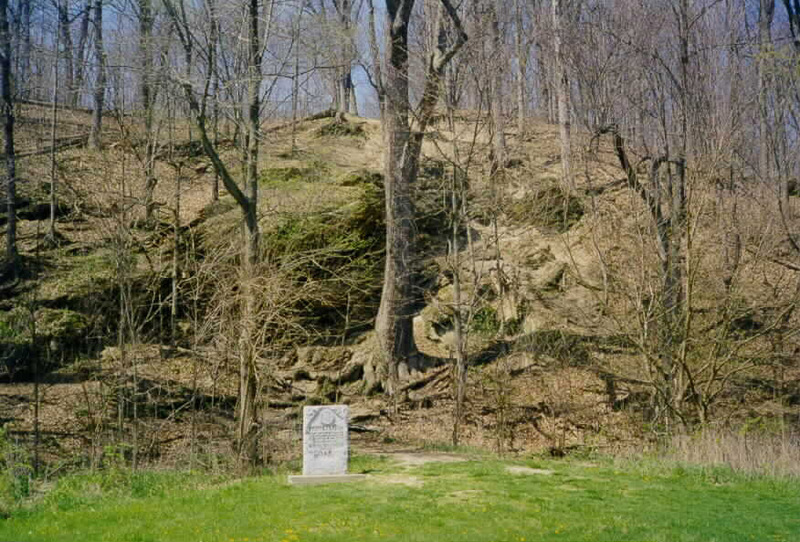 Tecumseh set up his headquarters just north of what is now Lafayette, Indiana along the Tippecanoe River. This new capital was called “Prophet’s Town”. After Harrison had negotiated treaties with some of the Indian tribes, gaining millions of acres in what is now Indiana and Illinois, Tecumseh went south to gain support from other tribes for an uprising. In his absence, he gave The Prophet strict instructions to avoid conflict until he could bring reinforcements. Meanwhile, President Madison gave Harrison control of the Fourth Mounted Regiment of the U.S. Army, and Harrison was intent to show the Indians who was boss. He marched about 1,000 troops right up next to Tecumseh’s small band of warriors, and parked them in a show of force. Tenskwatawa ignored Tecumseh, and at dawn on November 7th, 1811, he attacked. Harrison was prepared, but by most accounts the battle was a draw. Harrison prepared for a second attack on the 8th which never came – the Prophet had sat on a rocky peak nearby the battle, chanting spells he promised would make the warriors invisible to bullets. When the warriors counted their losses, suddenly the Prophet didn’t seem so magical, and they disbanded. Tecumseh would never again be able to build an alliance as strong, and he was killed at the Battle of the Thames on October 5, 1813. The British troops, fighting with the Indians against the U. S. in the War of 1812, had abandoned the field while Tecumseh and his warriors fought on to their deaths. You can walk the battleground today and see the markers laid where officers of the US Army fell, and the large obelisk memorializing their bravery. True to the times in which the monument was built, though, you will not find the same record of the Native Americans lost. Recent years have brought efforts to balance the story better. Harrison, however, would use that battle to great effect. After the war he became a congressman from Ohio for three years, and then a senator for three more. The Whig party, needing a hero to boost their sagging fortunes, nominated the nearly retired Harrison for President in 1836. The party portrayed the well-breed Virginian as a commoner living in a log cabin in Indiana and drinking hard cider as a contrast to the east-coast blueblood Martin Van Buren. Billy would lose that election, but in 1940 he decided to try again. The party selected John Tyler as his running mate and held a massive multi-day rally at the battle ground, with hard cider for everyone. 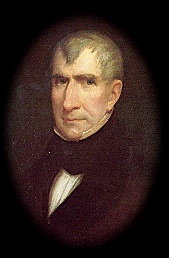 The phrase “Tippecanoe and Tyler, too!” became his campaign slogan, and he won the election by less than 150,000 votes. On March 4th, 1841, he delivered the speech during his inauguration ceremony. Wanting to look tougher and more frontier-like, he refused to wear a hat on the bitterly cold day. Despite Daniel’s best efforts, the speech set a record – 105 minutes – which has yet to be broken. As he rattled on in the winter air, he would catch a small cold. 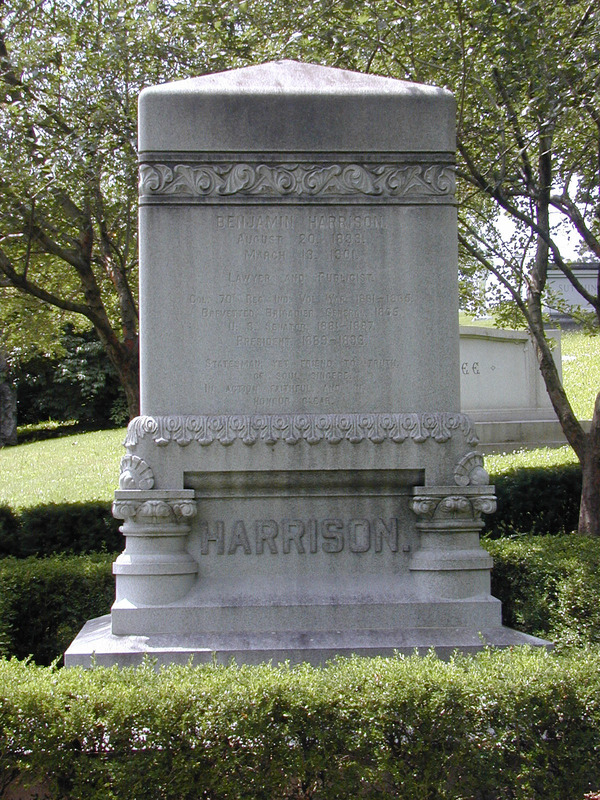 Unfortunately for Harrison, the cold turned into pneumonia, and he died exactly one month later, on April 4, 1841, having almost no chance to do anything. He was the first President to die in office, in no small measure because he talked too much. He is buried in North Bend, Ohio. 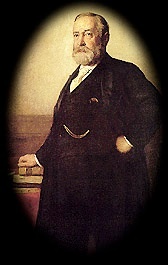 Benjamin Harrison, 23rd President and grandson of William H. Harrison. His grandson, Benjamin Harrison, was born in Ohio in 1833, and after practicing law in Indianapolis would become the 23rd President of the United States. After a fairly unremarkable presidency from 1889 to 1893, the Republican would lose to Grover Cleveland in 1892 mostly for failure to reduce high tariff rates that had strangled the economy and led to a recession. Benjanin died in 1901, a well respected elder statesman, and is buried in Crown Hill Section 13, Lot 57. To this day he is the only grandson of a President ever to be President himself. OJ Simpson. Shoes. Mark Spitz. Bridge Tournaments. North Webster. What do these things have in common? Why the amazing, curious, and somewhat disturbing history of the fabulous International Palace of Sports. Crown Hill in Indianapolis is the third largest public cemetery in the United States. Opened June 1, 1864 for a young mother named Lucy Seaton who died of “consumption”, it is now the permanent home of over 185,000 people. Let’s take a whistling walk through the catalog of Lost Indiana people there and in other cemeteries throughout the state. Enter your email address to find out about updates. Established 2001. Rebuilt and relaunched in WordPress in 2012.